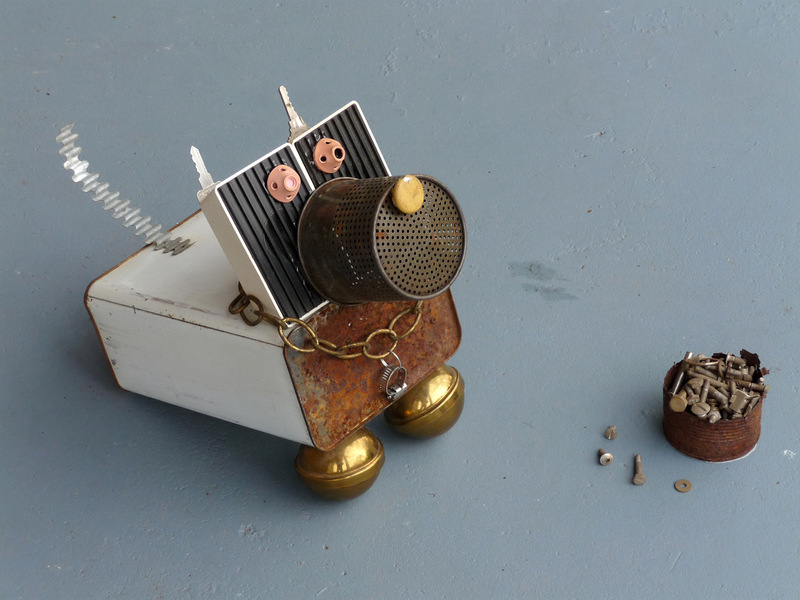 The Eensy-Weensy bot went up the water spout, down came the rain and washed the bot out…and that is exactly what the function of the Eensy-Weensy bot is. 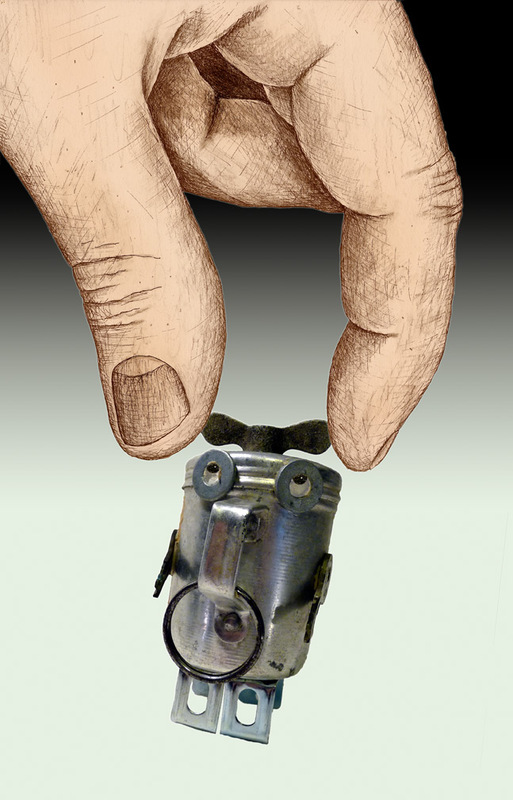 With its tiny size and razor-sharp blade, it can fit into any pipe or spout and clear out your most stubborn organic clog. The patented flywheel chopping blade on top of its head can be programmed to pulverize any dense blockage in seconds, from leaves to limestone. The Eensy-Weesy bot is so efficient, pipes that haven’t been clear in years will be clean as a whistle in no time. Come on now, Eensy-Weensy bot, there’s a problem in the bathroom…then Grandma is next! 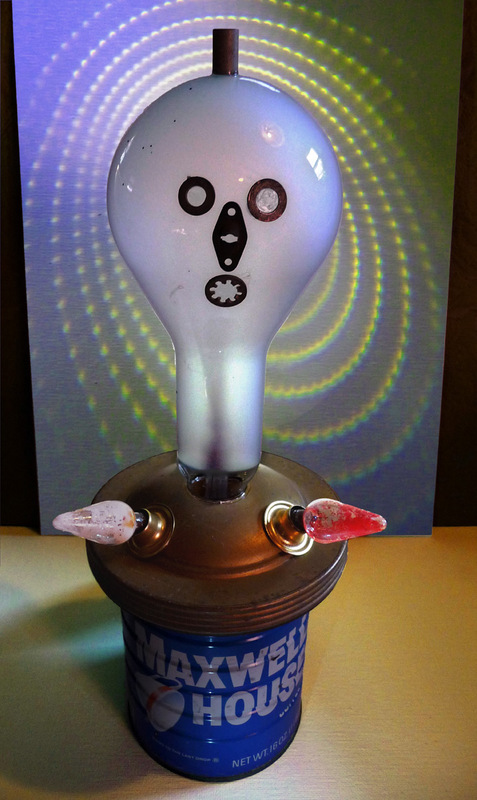 Disclaimer: Eensy-Weensy bot, its inventor and manufacturer, will not be held liable for the mis-use of their product. Must be operated by persons 18 years or older. Do not operate while drowsy or under the influence of a substance that may effect your judgment. Be sure to visit Alphabots! where you can see other robots ready to serve your needs. Here is my second installation into the Alphabots challenge, a robot for every letter of the alphabet. Two down and twenty four to go! It radiates, illuminates and even scintillates. For you he may dazzle, frazzle or incinerate. *Awkward poem using a thesaurus. And a happy bird am I, am I! And bathe my wings, and chink, and prink. And most unhappy then I feel. For I turn to a cold, stiff feathery ball! When I came across this sad little poem it reminded me of just how cold it has been lately. Everything is frozen solid and decorated with pointy stalactite icicles. It snowed the other night, and the below freezing temperatures made the snow flakes sparkle like glitter. Thomas Hardy was a Victorian era novelist and poet. Though the poor subject of this poem meets an unfortunate end, many of his poems display a love of the natural world. All of his life he held a firm stance against cruelty to animals. When Hardy died there was a controversy as to where his remains should be interred. His family wanted him to be buried with his wife, but his executor insisted he be buried at the famous Poets’ Corner at Westminster Abbey. A compromise was reached when it was decided that his ashes would rest at Poets’ Corner and his heart would be buried with his wife. It was rumored that a cat got into the tin containing the heart and ate a portion of it before they had a chance to put it safely in the ground. 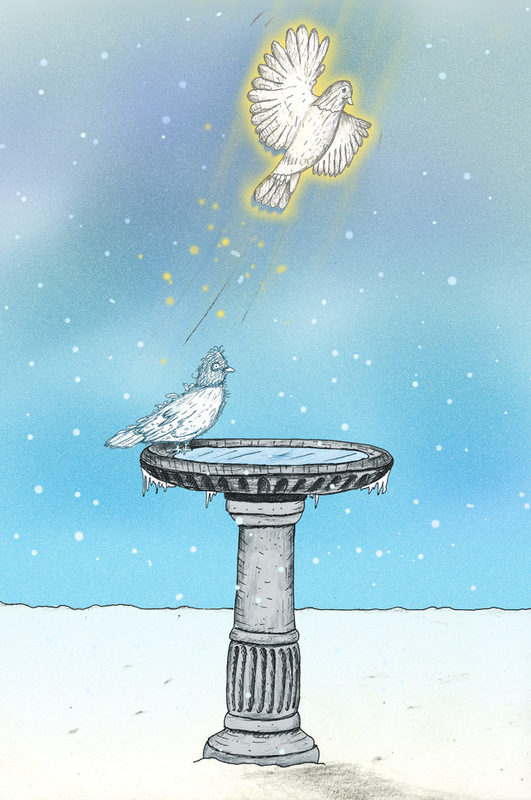 I tried to portray the little robin as passing away while trying to get a final drink at the frozen bird bath, with his spirit departing, happy now, glowing in warm light. 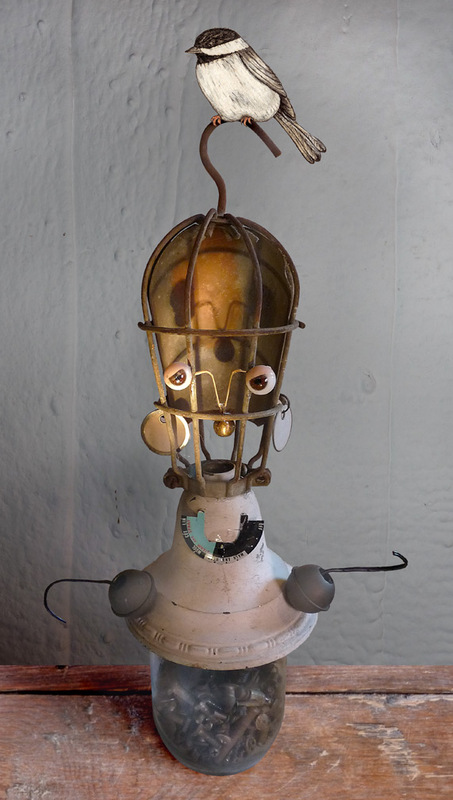 I made this little guy out of spare parts, found objects…junk. 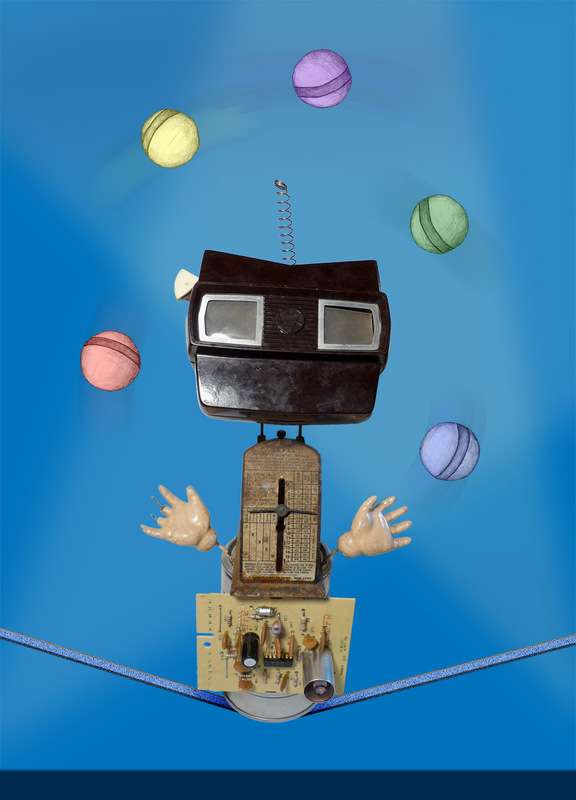 This sculptural illustration is supposed to be reminiscent of a Da Vinci sketch of one of his mechanical robot flying machine invention thingies. 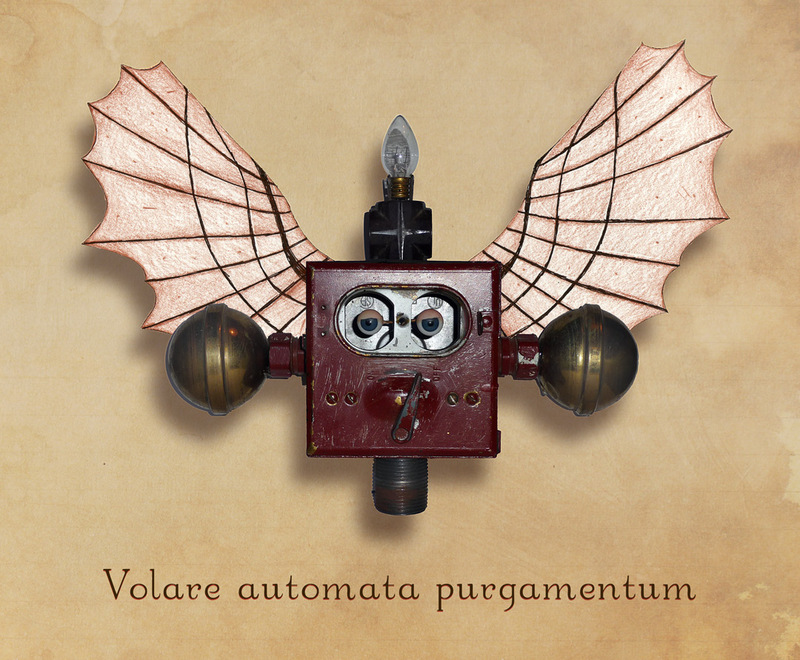 I gave it the Latin name: Volare automata purgamentum, or Flying Robotic Refuse.